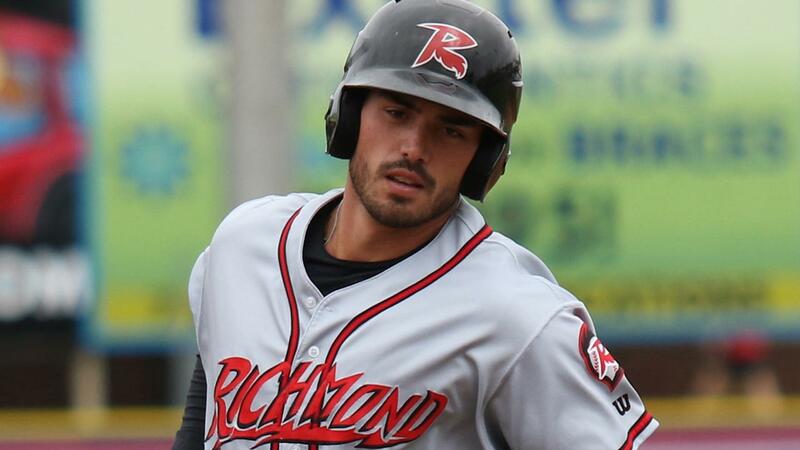 READING, Pa. - Home runs by Chris Shaw and Jalen Miller fueled a run of seven straight runs scored by the Richmond Flying Squirrels in a 7-3 win over the Reading Fightin Phils on Sunday afternoon at FirstEnergy Stadium. With the win, Richmond (5-3) earned a series split with Reading (5-3) in the first road series of 2019. With the game tied at 3-3 in the seventh, Shaw unloaded a three-run homer to right off Aaron Brown (Loss, 0-1), his first of the season, to put the Flying Squirrels ahead, 6-3. In the eighth, Levi Michael added to the Richmond lead with an RBI squeeze bunt to score Jacob Heyward from third base. The Flying Squirrels trailed 3-0 entering the top of the third when Miller launched a two-run homer to left. It marked the first home run this year by any Flying Squirrels batter. Richmond was one of only four teams in the minors without a home run entering play on Sunday. Richmond pitcher Garrett Williams evened the score with a two-out, RBI single in the top of the fourth inning, his second hit this season. Reading jumped ahead early against Williams with a pair of homers in the bottom of the second. Cornelius Randolph opened the scoring with a solo shot to lead off the inning. After a single by Luke Williams, Henri Lartigue hit a two-run shot, his first Double-A homer, to give the Figthin Phils a 3-0 lead. Williams settled in and finished his day with five innings pitched, allowing three runs on five hits with no walks and six strikeouts. Fernando Abad (Win, 1-0) pitched two scoreless innings, extending his season-opening scoreless streak to six innings. Sam Selman and Sam Wolff each tossed a scoreless frame to close out the game. Ryan Howard went 2-for-5 with a double and scored two runs. Miller extended his hitting streak to six games. Reading starter Adonis Medina, Philadelphia's top-ranked pitching prospect, allowed three runs over five innings. The first road of the season for the Flying Squirrels continues on Monday night with the first of three games against the Hartford Yard Goats. Right-hander Brandon Beachy (0-1, 6.75) will start for Richmond, opposed by Hartford and Virginia Beach native lefty Jack Wynkoop (0-2, 2.70). First pitch is scheduled for 7:05 at Dunkin' Donuts Park. The Flying Squirrels return to The Diamond on Thursday to begin a six-game homestand. For tickets or more information, call 804-359-3866 (FUNN), visit SquirrelsBaseball.com/Tickets or stop by the Flying Squirrels box office.